When starting as a musician, we all have dreams of getting our music in all corners of the world. If some sort of success does come, you are likely to start travelling because your fans want to see you in action. Although this sounds great at first, there are some common problems that new artists face. Luckily, we have some superb tips today to make things easier and more efficient if on a limited budget. Sadly, it is very much each person for themselves when touring and not all dressing rooms will be secure. Therefore, keep valuables hidden just in case fans find their way inside the dressing room. Although this sounds unnecessarily downbeat, it does happen and you wouldn’t want the tour to be ruined on the very first day. If you are still in the process of planning your tour, don’t keep adding shows night after night if you aren’t going to be able to fulfil. For example, a show in London followed by one in Scotland the next night might be a problem. If you have a limited budget, you will probably be driving most of the day before, then playing a show. When planning, make sure you consider everything and give yourself enough rest and time to prepare. In terms of instruments, you could even rent more unusual touring gear such as a tuba, timpani, a French horn, violin or double bass (especially if you are worried about Airline baggage handlers! ), along with more common band touring equipment such as guitars, percussion, drums, keyboards, bass, and more. If you have a limited budget or don’t want to lug all of your equipment around for one or two shows, renting it for a small fee is a great solution. If you are still a young band, you don’t have to hire people to carry items to and from the van. If you really want to save money, do it yourself and get your hands a little dirty. In the early stages of your career, you can save money by being your own booking agents, manager, driver, and more. If you save this money now, you will be appreciative later in your career. And learn valuable touring knowledge whilst doing it. If you have a number of shows coming up over the next month or so, always plan your travel arrangements. For example, you need to know exactly where the venue is before deciding whether you will travel directly after a show or the next morning. When trying to build a reputation, the last thing you need is turning up late for a show because you didn’t do your research. Finally, we recommend leaving the van or hotel and enjoying the area in which you are touring. Regardless of how close you may be to your bandmates or crew, tensions will run high at some point because we are all unique humans who are different in some way. Therefore, take some time to experience the country or world (if touring internationally). With these six travel tips for touring artists, you will be in a great position to enjoy your tour rather than getting lost, getting things taken from your dressing room, or wasting money on unnecessary services. Let us know if we can help, and have fun out there! Looking for a Splitter Van to hire for your tour? 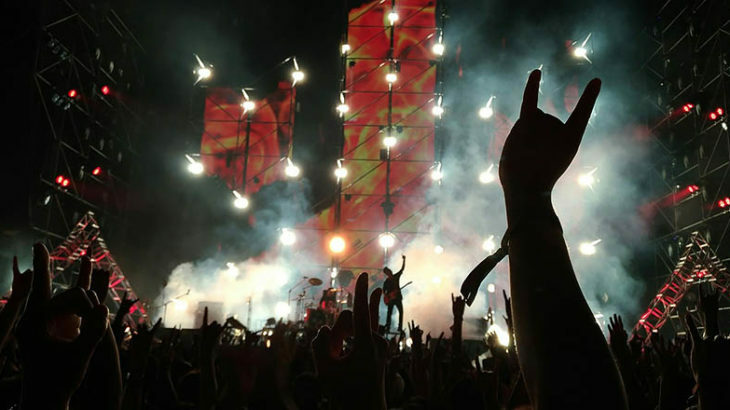 Busiest time of year for UK Backline Hire – Spring Tours head in to Summer Festivals. Really great stuff ! Thank you!